Here we are again with the monthly update of the Mindtimeshare Cold Caller list. 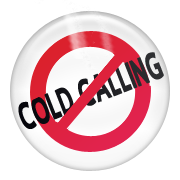 In the month of January 2014 we had a total of 81 cold callers and 20 of them were new companies. As we have seen over the past months already, most of the “new” companies are so called Mediation companies who offer services such as Legal services, Claims companies or even those who assure to be notaries, liquidators and solicitors. Please note that you should always distrust a cold callers in the first place, and when they start asking for money upfront it is time to have all the alarm bells ringing. Always do your research on a company for as good and genuine they might sound. Another issue that has come up lately a lot is the payments to third party service providers. Please note that the Consumer Act is very clear (and strict!) about these kinds of payments; you have to proof the Debtor – Creditor relationship, and this turns out to be extremely difficult in most cases. If you make a payment by credit card, always check the receipt and in case there is a different company name to the one you are dealing with. If you have been cold called by any company then please let us know. We appreciate your help and information a lot! This entry was posted in Bogus Holiday Clubs, Bogus resale companies, Tips & Advice, Warnings and tagged Cold Callers, Fake Court case, Fake Lawyers, Fake liquidators, fraud, Mediation companies, Mindtimeshare cold caller, scams, timeshare, timeshare directive, Upfront Fees. Bookmark the permalink. Hi, we have recently been called by two companies who say they can help us to get money back from previous scams. They are Absolute Solutions and Westbury Solutions( on your cold caller list in January) Are they connected or just two more devious companies out to trick people? Was contacted today by a Mrs Elly Wilson From Zappa Management & Consultancy, Hertfordshire Tel 02036950485. She wanted £2,900 to get us back £8,900. However we have heard this so often from all kinds of companies that we stop listening as soon as they mention money up front. Club Class, (who we were with) and Leisure Alliance etc etc (7 companies in total) were all wound up in the high court about two years ago. We gave up on our time share completely when this happened but still we get pestered by all these phone calls. Whenever we tell them its a scam they can get quite irritated by it and we just put the phone down and google them up straightaway and, needless to say, find they are not bona fide. I have had a couple of calls from James Howard who says he works for Eurobrook Limited, company registration number 05603999. A company does exist with this registration. The telephone number he gave is 04832896803 and a search online for the company name/address comes up blamk! James claims that I have paid money to one of the scammers offering tro sell a holiday club membership and wants to send me over £7k. All I have to do is buy two UKASH vouchers – for £100 and £200 and within days I will get two cheques delivered by UPS – one for the £7k+ and one for £300 – at which point I can destroy my UKASH vouchers. James got very confused when I asked where the £300 would go if I did not reveal my voucher numbers – had to put me on to his `manager’ who finally admitted that I would have to give part of the voucher number but assured me that this would be 100% safe and also said that it was now illegal for these payments to be made by credit card. Details have been passed to the Fraud Action line in the UK. With UKASH vouchers there are two parts to the number – one part shows the country where it was purchased and the other part is the exclusive number for that voucher. The company will ask for the exclusive number as they can then claim the money as they know where the voucher was purchased. I had a call from James a couple of months ago and asked if it was OK if my brother boughtAlso reported to Fraud Action the vouchers in Europe – he stopped calling after that! I have just been contacted by ITRA who informed me that she would be able to if i wished sign up to be included along with 5 other customers who where going to cancel out of their diamond resorts contract. The catch was that i would first have to pay all my management fees then pay them via credit card half of their fee. If nothing was achieved this would be refunded following a period of up to 90 days. I would then have to pay them the remaining half of their fee on completion of the cancelation contract from DRI. Much was made of the protection i would receive if i paid with credit card to avoid being scammed. alex contacted by a lady called Joanna Ferguson who is self-employed but does work for a company called BCS Services -Bien Costa Sale based in London. Said she could sell my timeshare in Tenerife. 24 hours later she phoned back to say she had a buyer at a price of £8451.When pushed she said a fee of 1200 euros would be held in a holding account until the sale was complete.I told her I had seen their name connected with timeshare scams on Mindshare. She said she was surprised to hear this. Said she would this up on the internet. Not sure if she was self employed or just putting on an excellant act. Needless to say I did not proceed. I have just been called by Westbury Group Solutions. They left a message on my answer machine to the same effect as Michael. I cannot find any reference on Google or Business house. Plenty of firms called Westbury but no mention of Solutions. The ladies name was Denise Thomas and the phone number was 0845 5275568. I don’t think I will be returning their call. Yes, I have recently been cold-called by Julie Wicks (tel 0203 695 0485) who gave Zappa Management and Consulting as the name of her (UK, she said) company, though registered in the USA, no ZN6983C42. She wants £1,800 up front to retrieve for me £1,199.51, of which I was defrauded by Holiday Rentals nearly two years ago, AND £12,500, which is what Holiday Rentals claimed they were selling my Club Class membership for. I have been severely warned off dealing with Zappa by TATOC, who say they have never heard of anyone ever getting back the money promised by a cold-calling company. TATOC were pleased to add Zappa Management and Consulting to their list of cold calling companies. For a letter to contact your card company I suggest you speak to your local Citizens Advice Bureau. Having explained what you want to do they should be able to give you a link to the latest template letter suitable for what you need. It worked for me. These con men have used the name of my company, Lancashire Financial Services ltd, and I can assure you 100% they are con men !!!! Any money you pay to them will be lost, you cant pay by credit card, so any protection will not apply. I suggest you contact Action Fraud asap. Please Please do not part with any money as its will be lost !!!!!! Thanks for your comment and making us aware of the fact that these people have abused your company name. I would certainly insist to all victims to report this issue to Action Fraud, and as you mention you have reported them as well, the police should be made aware of this as well. have been contacted by fastline legal services . have sent paperwork like they suggested and they have contacted me asking for £1200 for translation purposes. I have declined their offer but they do as sure as hell sound too good to be true as they told me I should get over £10,000 in compensation. I have been contacted by Westbury Group Solutions who say they can get back the money I lost to Excalibur and Breakaway Marketing Solutions at no cost – AND they also say they can put me in touch with a barrister to recover some 50% to 60% of the promised sale value of my ILG/DWVC Holiday ownership for an initial fee and a 10% charge on any monies recovered from these companies. As usual this cold call sounds too good to be true, despite sounding very professional etc etc. What do you know of this company ? And what would you advise ? Also can you offer any advice, or even template letters, to help me use the provisions of Section 75, to recover the money I have lost to these companies paid through my credit card. All you have to do is contact your credit card company and then send all the information to them, as they have a fraud department and can claim back your monies paid to the so called resale companies, I have had no problems at all with this.